2014/05/18 00:42:42, Order Received Order has been created, awaiting payment. 2014/05/18 00:42:52, Payment Confirmed Payment verified. 2014/05/18 00:42:52, Order Processing Order is being processed. 2014/05/20 11:15:49, Order Processing Order is being prepared for Shipment. 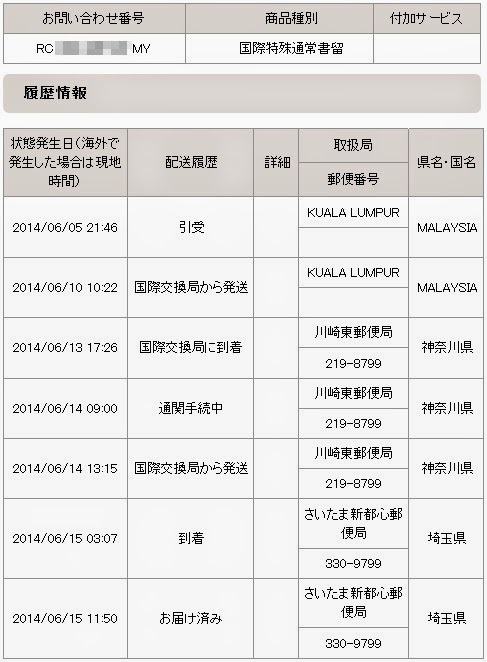 2014/05/20 13:35:30, Full Shipment Your order has been fully shipped.